When it comes to aching joints, what you need most is a powerful ally to help you get rid of the pain as fast as possible. However, just relieving pain is not enough, since you should also consider treating the loss of cartilage that happens over the years, leading to the pains you get to experience later in life. Although health supplements can act just as an adjuvant, you should try them, as they can help you complete the treatment you already have, and enhance the results you get this way. Beneflex Joint Support by Instaflex looks like a powerful formula, based on key ingredients with an active role in combating joint pains. This is what we learned about this particular product. What Does Beneflex Joint Support by Instaflex Contain? 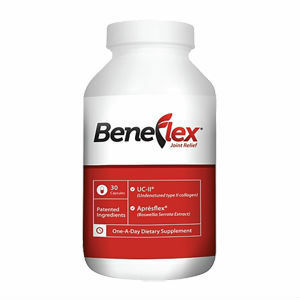 Beneflex Joint Support by Instaflex harnesses the power of hyaluronic acid, one of the key compounds capable of helping your body rejuvenate from the inside. Treatments containing hyaluronic acid can help you achieve a healthier skin and hair, besides healthier joints. The supplement also contains type II collagen and herbal extracts with known effects on relieving pain in the joints. What we noticed, nonetheless, was the absence of other powerful ingredients, such as glucosamine and chondroitin. The recommended dosage is one pill daily, which is the lowest found in such products. The listing price for a 30 pill bottle is 59.99USD, which is steeper than other products. However, a bottle lasts for one month, and you should see the first effects within seven days. Beneflex Joint Support by Instaflex is sold through third parties, so the issue of refunds must be discussed with them. Beneflex Joint Support by Instaflex sounds like a good formula, since it combines the power of hyaluronic acid with that of herbal remedies. Turmeric and boswellia serrata are two important natural ingredients to have in a joint health supplement. However, we would have loved to see more powerful ingredients included, like glucosamine and MSM. Mark Stevens	reviewed Beneflex	on March 17th	 and gave it a rating of 2.